TRU Plumbing & Heating LLC is the leader in the Scotch Plains, NJ area for top quality, reliable plumbing and heating installations and repairs. Our professional plumbers and technicians have earned us a reputation for prompt service at reasonable prices. At TRU Plumbing & Heating LLC, we are dedicated to your complete satisfaction. We are the true professionals you can count on whether your furnace needs repair or you have a leaky pipe. At TRU Plumbing & Heating LLC, all of our experts in plumbing and heating are fully insured and licensed for your protection and so you can be assured you are dealing with proven professionals. We operate under NJ Master Plumber License #13101. Our teams will arrive as scheduled with the tools and equipment they need to make short work of your problem and return your home or office back to normal. They are available for emergency service 24 hours a day, 7 days a week. 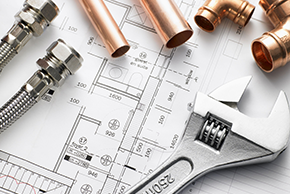 As plumbing contractors, we can also provide plumbing installations for your new construction or remodeling project. We can upgrade systems and install new sewer connections for plumbing expansions. When you contact us at TRU Plumbing & Heating LLC, you can be assured that the estimate we give you will be completely transparent. It will never include hidden fees or charges for work that you did not initially authorize. If you are in the market for plumbing improvements or need heating or plumbing repairs, ask around for recommendations. We are certain that you will choose the professionals at TRU Plumbing & Heating LLC. We have earned the trust of a growing number of our Scotch Plains neighbors because we will be up front about what we can do for you and how much it will cost. So for the best and most cost-effective plumbing and heating service in the Scotch Plains area, contact us at TRU Plumbing & Heating LLC for a free, no-obligation estimate.